Title caption can shows users more information about the video which is so convenient. 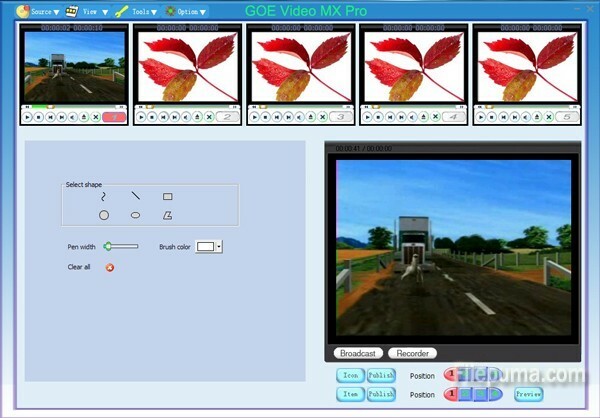 Here is the instruction to tell you how to add title caption on video with GOE Video MX. 1. Run GOE Video MX. First we need to import the video to GOE Video MX. We could do this by clicking the channel button or select the channel existed in the menu. 2. Click the “New” button on the left, then the title caption input edit box will show up. Input the title caption that you want to add. 3. Click the “Effect” button to set the font size, font style, background color, shadow effect, frame color, animation effect. 4. Click the “Apply” button to confirm your settings. 5. Click the “Preview” button to preview the effect and set the title caption position on the video. 6. Check the box next to title caption, click the “Auto” or “Manual” button to add the title caption to the video. 7. You’ve successfully added the Title Caption to your video.